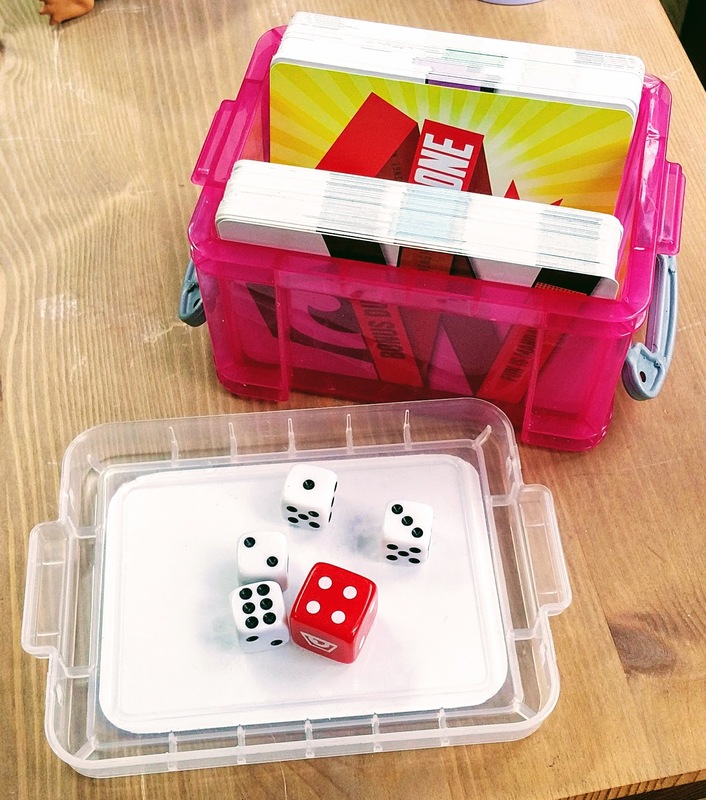 If you want a quick, simple and easy way to store just the card decks from your RED Clearance Starter Set or your Kickstarter edition, look no further than the 0.3 Litre Really Useful Box (well, you can look further, but I’m putting this out there as a first option — with more to follow). 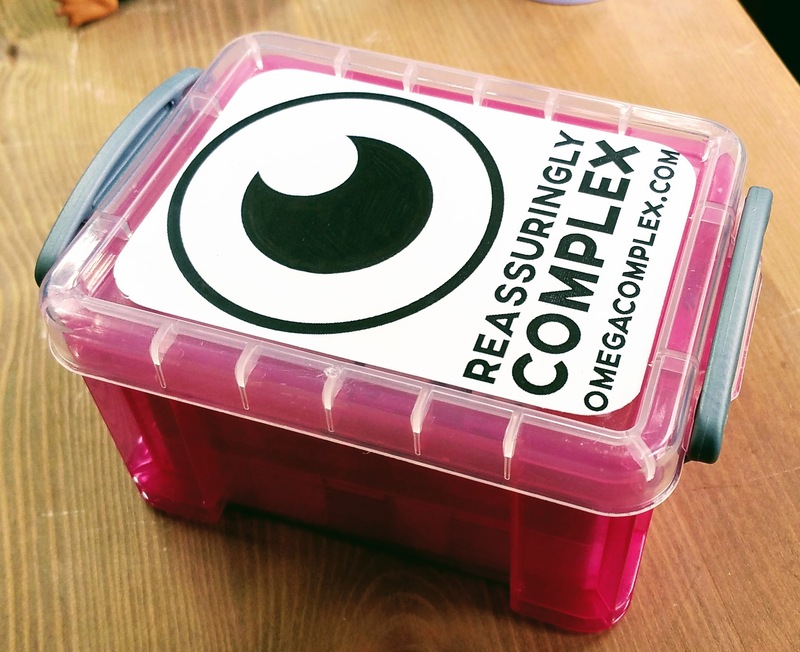 You don’t have to customise your box – but you can! I just made up a logo and tag line and printed it on matte sticky paper. The 0.3 litre box will hold the two decks that come with the set – 110 cards – and you still have room for another deck, or the dice. At the table, you can have the cards on their side, like an old school index card holder. 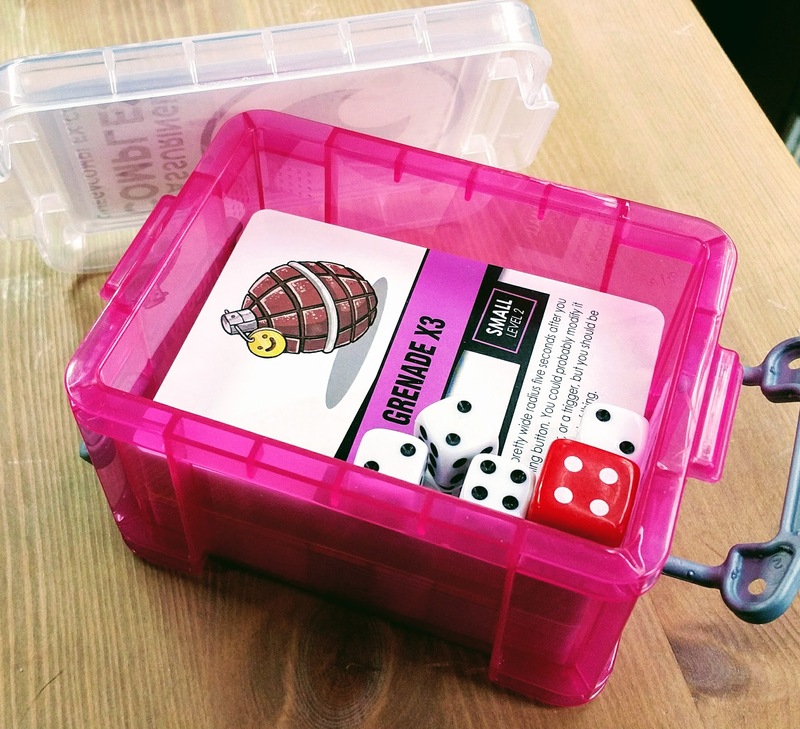 I’m reasonably sure that you don’t need to resort to the lid as a dice tray and could get something much nicer from a reputable online game accessory outlet.